April Was 2nd Warmest Globally; Average for U.S. While April was an uneventful month temperature-wise in the U.S., with most areas experiencing near-average temperatures, the month was the second-warmest April on record globally, according to new NASA data. 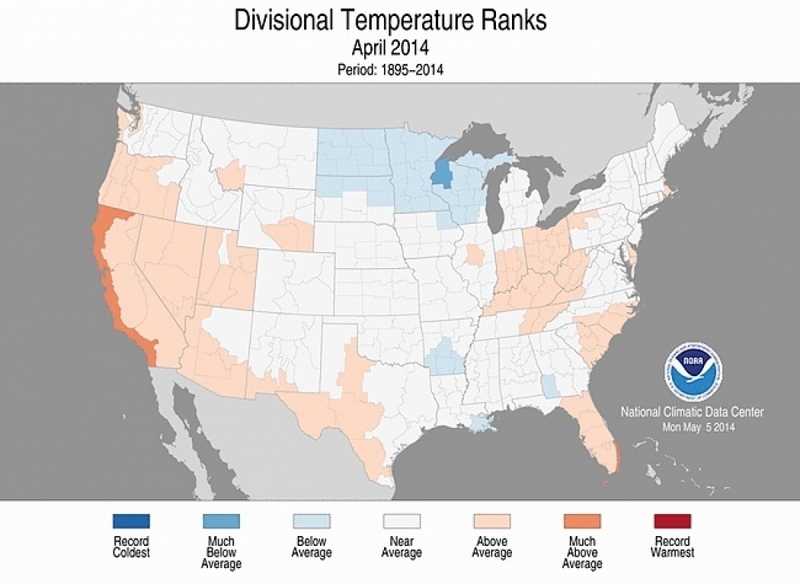 April 2014 U.S. temperature rankings by climate division. 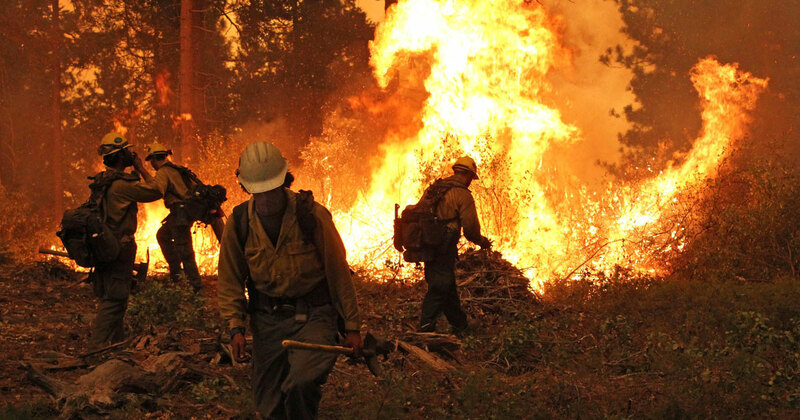 That makes April the 350th month in a row — more than 29 years — with above-average temperatures, largely caused by the buildup of manmade greenhouse gases in Earth’s atmosphere. The ho-hum record for the U.S., released Tuesday in the monthly climate summary from the National Oceanic and Atmospheric Administration, is an example of the kind of regional variability that can happen from year-to-year, but doesn’t negate the overall warming trend, said NOAA climate scientist Jake Crouch. 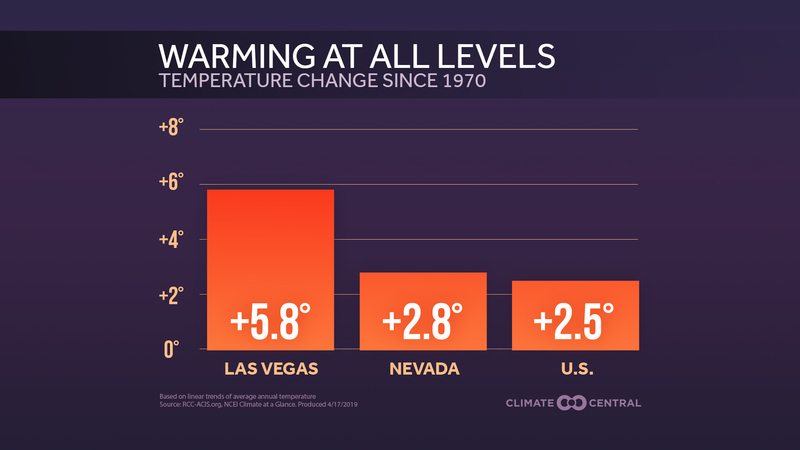 According to the latest NASA data, the planet’s average April temperature was 58.5°F — 1.3°F above the average temperature from 1951-1980. That ranks behind only April 2010 in the warmest Aprils on record. In particular, Europe and Asia saw an extremely warm month. In contrast, near-average conditions prevailed across much of the U.S.
“In terms of temperature, it was kind of a boring month,” Crouch told Climate Central. There were areas of the U.S. that saw above-average temperatures, namely the West Coast and the Southwest, while the Upper Midwest and Northern Plains saw cooler-than-normal conditions. The cooler conditions that have prevailed in the eastern portions of the country throughout the winter and into the early spring are linked to warm sea surface temperatures in the northern Pacific Ocean, Crouch said. The sea surface temperatures influenced atmospheric patterns, pushing the jet stream further north in western North America and further south in the East. In fact, the first four months of 2014 were the coldest such period in the country since 1993, with an average contiguous U.S. temperature of 38.7°F, 0.4°F below the 20th century average. But when looked at in the context of the entire 120-year temperature record for the country, those four months were only the 46th coldest. And that’s just in the context of the U.S.
“Even though the start to this year was cold, that long-term warming trend is there,” Crouch said. The pattern that kept the eastern U.S. cool is an example of a signal that can have a regional influence, but that doesn’t overwhelm the larger trend of global warming, Crouch said. 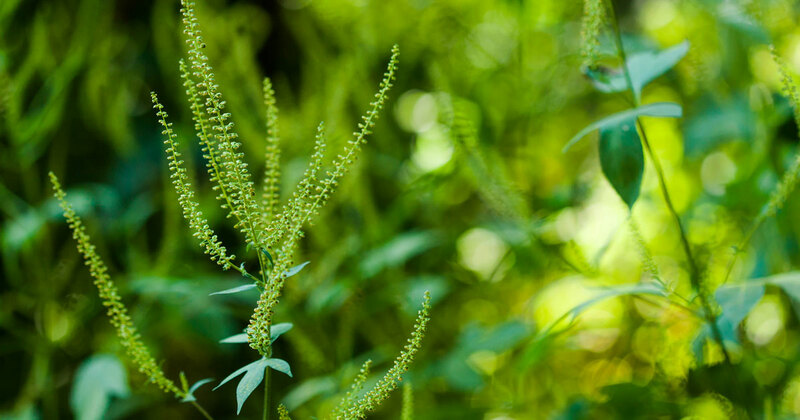 What the chilly start to the year in the U.S. means for the potential average temperature for the year is too early to tell, because those early temperatures “don’t necessarily reflect what will happen later in the year,” Crouch said. He said that the below-average temperatures do mean that any warmer temperatures later in the year have a higher hurdle to clear on the way to a record warm year. Crouch doesn’t expect 2014 to rank in the top 10 warmest years, though he doesn’t completely rule out the possibility. “I don’t expect to be breaking records nationally this year,” he said, though global or regional temperatures certainly could do so. That could particularly be the case if an El Nino starts this summer, as other NOAA scientists expect, because El Ninos tend to result in higher average global temperatures. Can We Talk About the New NCA Website?